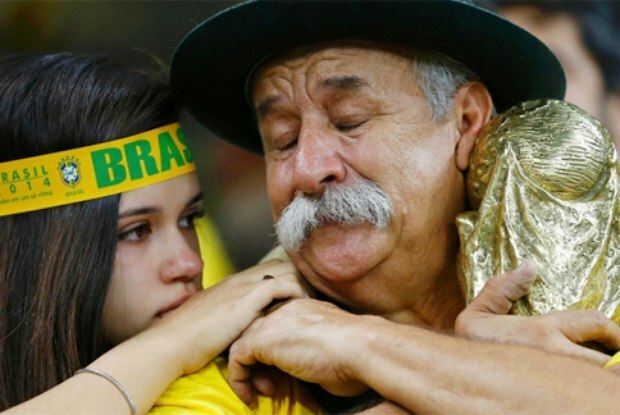 Surely most fans watching Brazil's embarrassing loss to eventual World Cup winners Germany in last year's tournament will remember the many sad Brazilian fans' faces. But none stood out more than that of the mustache wearing old man holding the shiny world cup trophy replica in his hand. After the loss sunk in and in a sight of true sportsmanship, the old man approached a German fan in the stadium and handed her his replica. 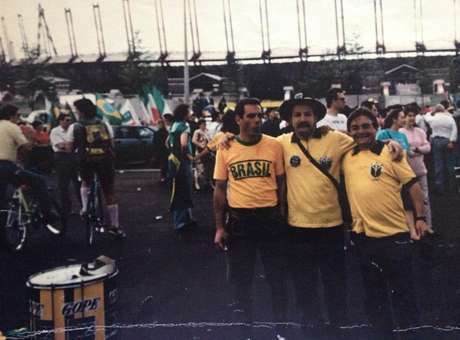 But who is this "super fan" that has been seen in the stands during Brazil's matches for a number of years now? Here are 5 interesting facts about "Gaúcho na Copa". 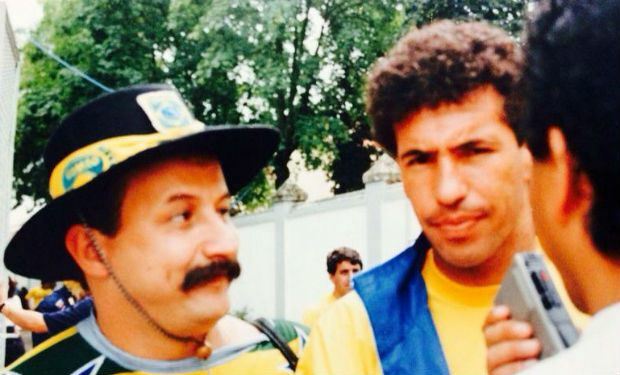 The old man's name is Clovis Acosta Fernandes, also known as "Gaúcho na Copa". He's 60 years old and currently works as a real estate agent when not travelling around with that replica World Cup trophy. His hat, scarf and boots are actually traditional gaúcho attire, which earned him the nickname. The 1970 FIFA World Cup was the first televised world cup tournament in Brazil. After seeing the competition on the telly Clovis was so amazed that he started planning his travels, saying "One day I will watch a World Cup 'live and in color'. If that's God's will, I will do it". But it would take him 20 years to realize his dream and in 1990 he attended the World Cup tournament in Italy. Although now Mr. Fernandes is a real estate agent, back in 1990 he was the owner of a pizzeria in his hometown Porto Alegre. But once football became his passion, work was no longer on his mind and he even called himself irresponsible, saying "I've turned myself into an irresponsible person. I stopped seeing work as being the most important aspect of my life." He later sold his restaurant to his brother. In 2002 "Gaúcho na Copa" was selected by FIFA as the "Star Supporter" of the Brazilian national squad. Since 1990 he has attended 7 World Cups, 6 Copa Américas, 4 Confederation Cups and 1 Olympic Games. He has been to a total of 66 countries and 154 games! It's been theorized that after the game against Cameroon, he'd become the 12th player that wore the Brazilian shirt the most. When the "Gaúcho" travels to a tournament he travels by air. But once on land he and his group of travel buddies rent cars. In 2002 in Japan this was an issue as his international driver's license wasn't enough for the Japanese company to insure his rental vehicle. As such, he purchased a car instead. Once the tournament was over and surely in good spirits as his native Brazil claimed their record fifth championship, Clovis traded the car in exchange for a PlayStation game console for his son.